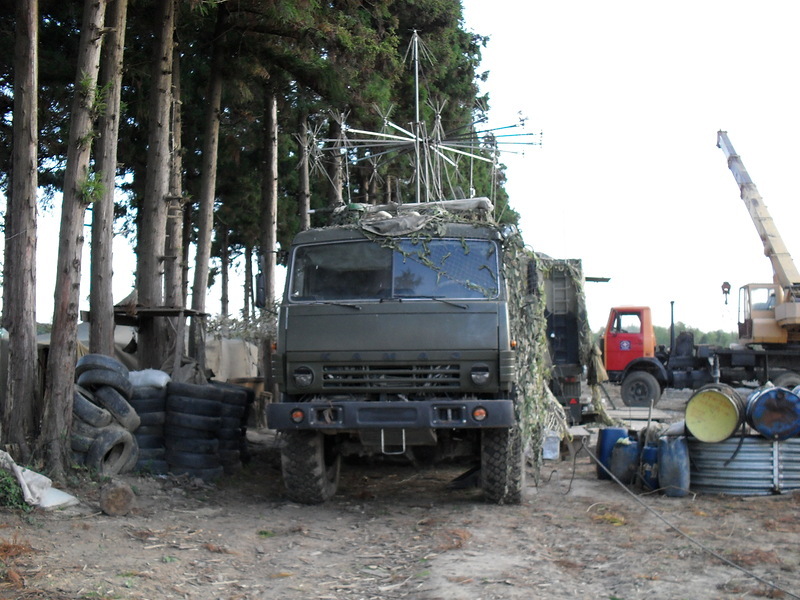 In this article, Investigators of international volunteer community InformNapalm are summarizing the investigations on Russian electronic warfare (EW) equipment deployed in Donbas. For now, we have identified five (5) types of modern electronic warfare units, which are used by armed forces of the Russian Federation in Ukraine. Those systems are issued to Russian Armed Forces only and couldn’t have been captured from Ukrainian Army as trophies. GSM-Suppression system RB-341V “Leer-3”, of March 2016 certain number of these units were deployed with the Eastern Military District and the Southern Military District of Russia. This system was first spotted in Ukraine in the training of Russian-terrorist troops in May 2015, then in the summer of 2015 and in the spring of 2016 in Donetsk. Foe more details see our investigation of the Russian EW system RB-341V “Leer-3” in Donetsk Russian EW system RB-341V “Leer-3” in Donetsk. HF and VHF jamming system RB-301B “Borisoglebsk-2” passed its first test in 2009-2010. 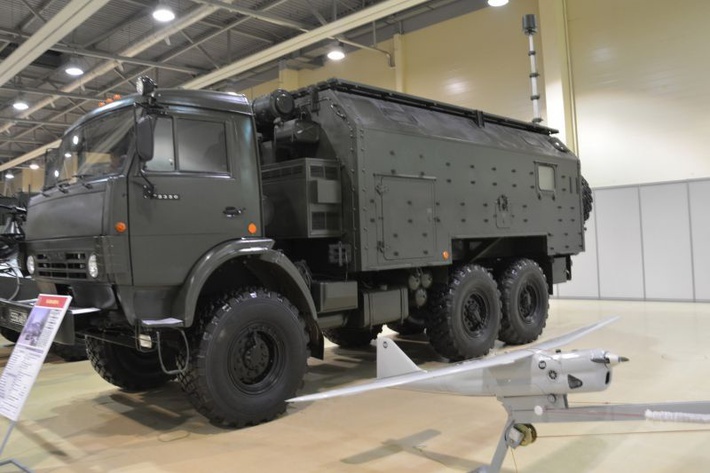 South Military District received 8 of RB-301B “Borisoglebsk-2” systems in 2013. One of the vehicles, presumably a command unit R-330KMV, was seen in the summer of 2015, while transported on civilian vehicle near Rostov. Earlier it was seen near Luhansk in the town Bryanka in February 2015 and in Luhansk in March 2015. 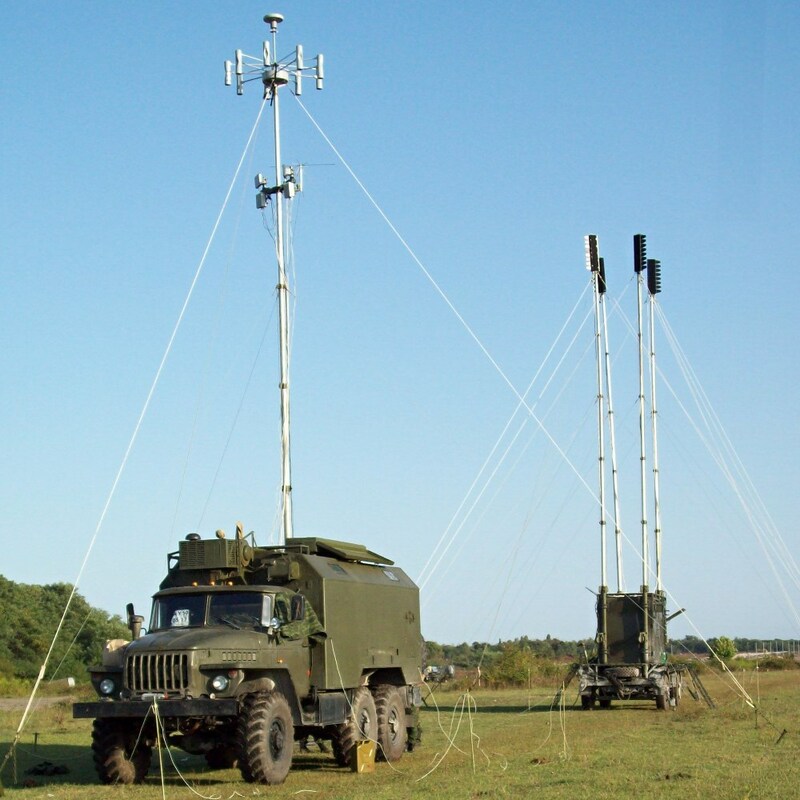 More details of the modern Russian EW systems “Borisoglebsk-2” spotted in the Donbas conflict area The Newest Electronic Warfare Systems ‘Borisoglebsk-2’ are Noticed at the Border And in Donbas. 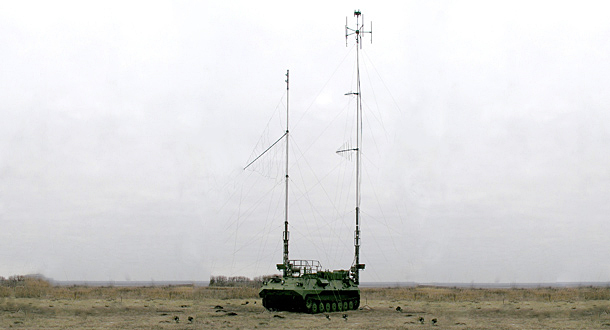 Automated jamming station R-934UM was put in service in 2008-2010. One unit was identified by InformNapalm volunteers in winter of 2015 on the outskirts of Luhansk, it interfaced with command unit F-330KMA. 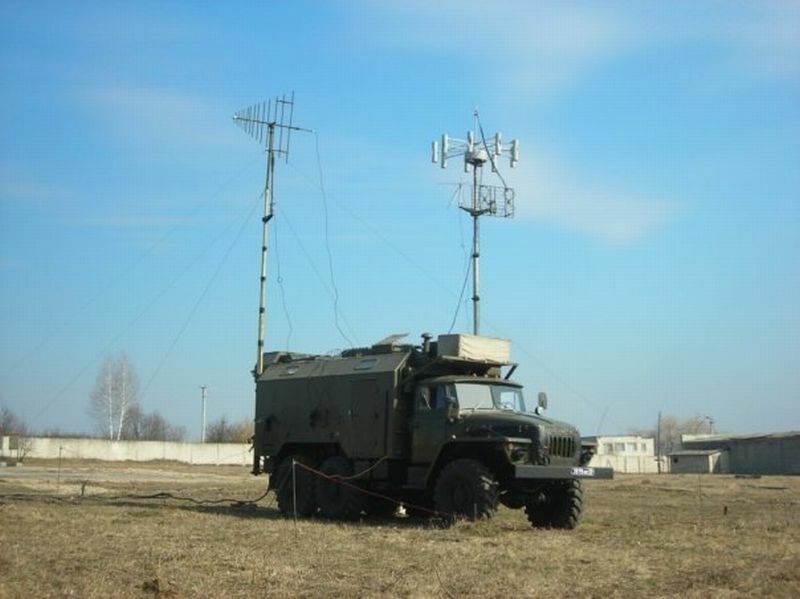 More details under Russian station R-934UM located near Lugansk, radio exchange intercept. Automated jamming station P-330ZH “Zhitel” was put in service in 2009-2010. This AJS was seen in 2015 and in 2016 in Makiivka. It was deployed in Horlivka in winter 2015 and was used by the Russian troops in the battle of Debaltseve. More details under It is official, Russian army deployed R-330Zh jammer in the battle of Debaltseve. This publication was prepared by Mikhail Kuznetsov, volunteer of the InformNapalm international community.